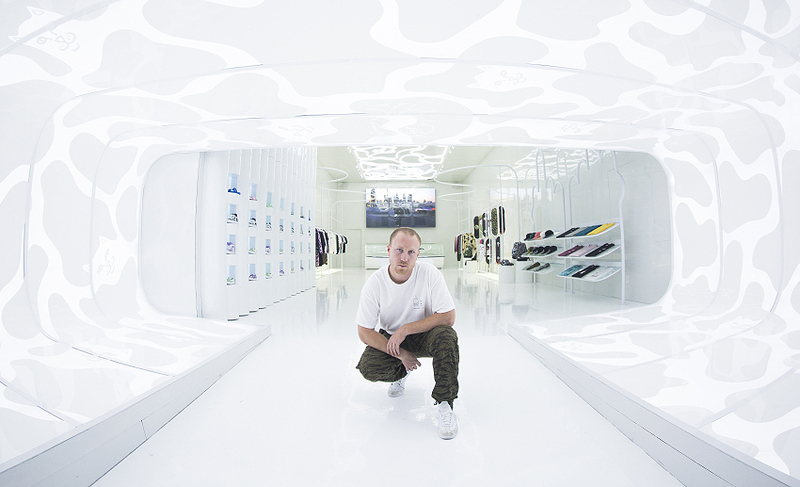 Born and raised in Orlando, Florida, Ryan O’Connor started one of the hottest streetwear brands called RIPNDIP, chased by all the mods of the US and not only, having in mind that the brand’s stores are already presented in several countries with the latest one to be soon open in Tokyo. 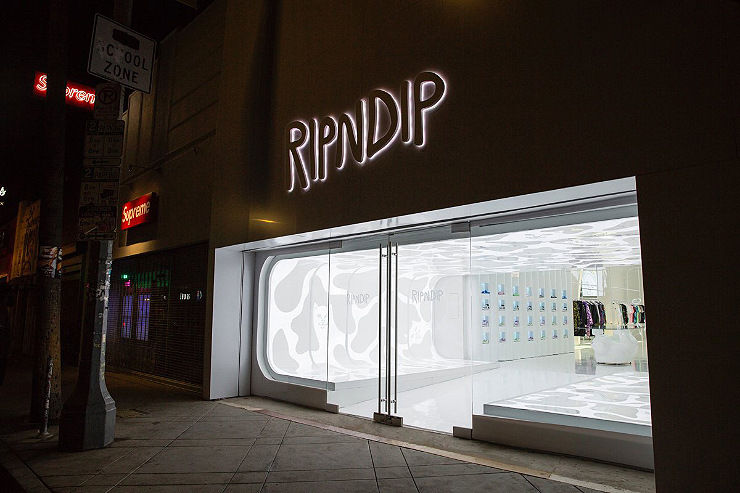 The Fashiongton Post: Ryan, if RIPNDIP wouldn’t be RIPNDIP, what another name the brand could get? Before you opt for this particular one, what other options did you have in your head as to the future brand’s name? Ryan O’Connor: Mhmm that one is really hard because I love the name RIPNDIP so much, but If not.. then maybe OCON. From Ryan O’Connor, my last name. F.P. : On the way to the brand’s recognizability, have you ever had moments when you wanted to quit? If so, how did you manage not to give up and move on? R.O. : Yeah kinda, but I really enjoy making t-shirts and seeing people wearing the things I make. It has always been my passion, so I actually never wanted to quit. I think I will always be making and creating, and finding any means to do so. F.P. 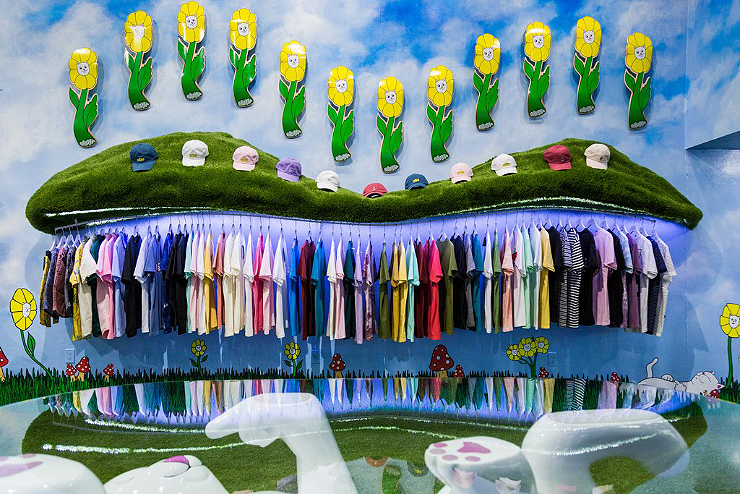 : What is your favorite piece of clothes made by RIPNDIP, the one which was the most fun to create and design? R.O. : For sure the Lord Nermal Pocket tee. It’s a really funny joke to have Nerm flick everyone off when you pulled down the pocket, and it became a universal icon. F.P. : Do you still participate in designing the pieces, or it is your team now that takes care about everything and you only participate in the generation of new ideas and brand management? R.O. : I come up with brand direction and ideas but I think I’m more of a marketing type of person. I love coming up with new designs together with our designers. I often look for unique pieces I like from thrift stores and then re-design them to speak to the brand. F.P. 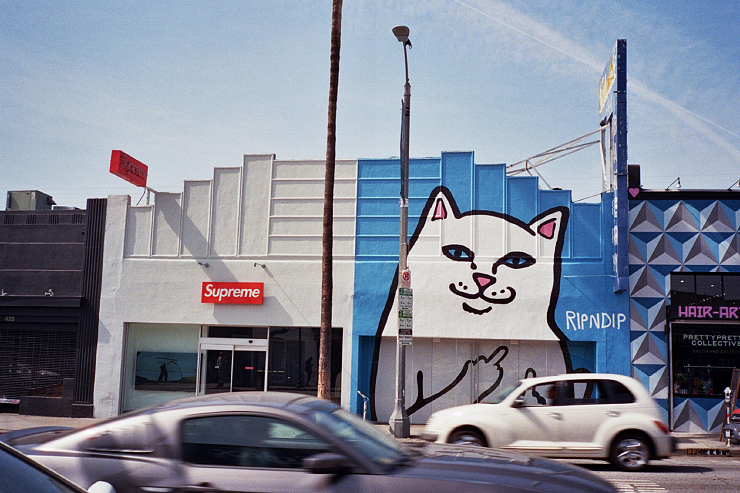 : How many people are currently involved with RIPNDIP? R.O. : 10 people in house at the HQ, 2 outside, and about 10 at the LA store. F.P. : Many successful brands now turn towards moving their production factories to Asia and other countries to save on the production cost. What do you think about this tendency? Are all the pieces still being produced in the USA or abroad? R.O. : Some stuff is made in USA and some is made in Asia, it just depends on the product. F.P. : Many people think that one can achieve what you have achieved only with good connections or lots of money. True or false? R.O. : HAHA no… I’m a really great example of just the opposite of that. I started with zero money and zero connections. But looking back now if I was to do it all over again with all these resources then it would be like flicking on a light switch. F.P. : Is there any hobby that you really like besides skateboarding? R.O. : I like the outdoors a lot, so I have some off-road bikes that I ride. F.P. 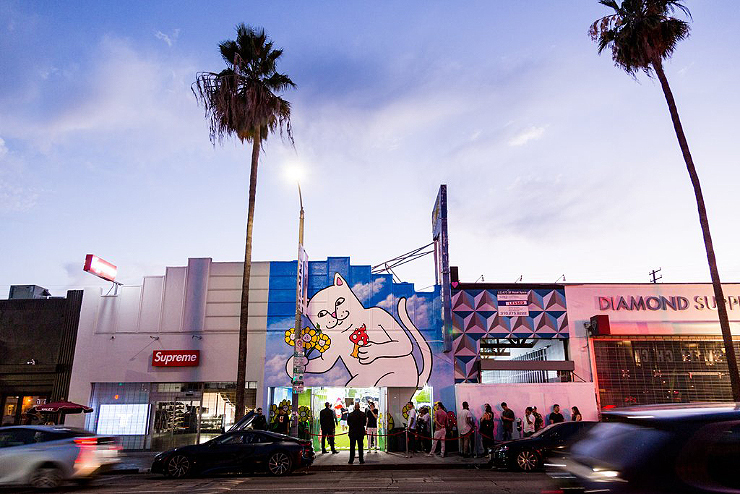 : From the old times NYC and LA, these two powerful and inspirational cities, are “fighting” for popularity, and both are known for many clothes brands being represented there. 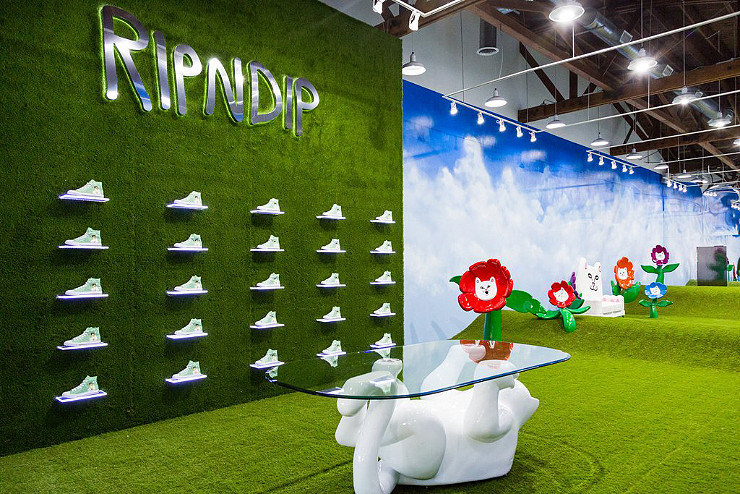 Why have you chosen LA among those, to become the headquarter of RIPNDIP? R.O. 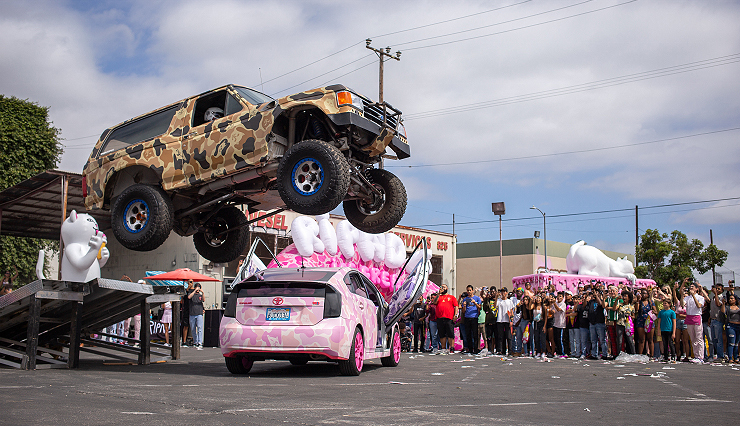 : LA just makes it easier for someone to set up a brand. NYC is much harder and more expensive It is too hard to start there. I started in FL then moved to LA, but I would still pick LA over NYC to start a brand. F.P. : Had you ever become the object of criticism, and how did you feel about it? R.O. : Yeah, all the time, I just don’t let it bother me. F.P. : Your favorite brands or designers you admire? R.O. : I’ve always looked up to MAKR Leather goods. This brand was my main inspiration in Orlando, FL. F.P. : What’s your creative dream? R.O. : To only have to come up the ideas and not think about the execution. F.P. : How does inspiration come to you? 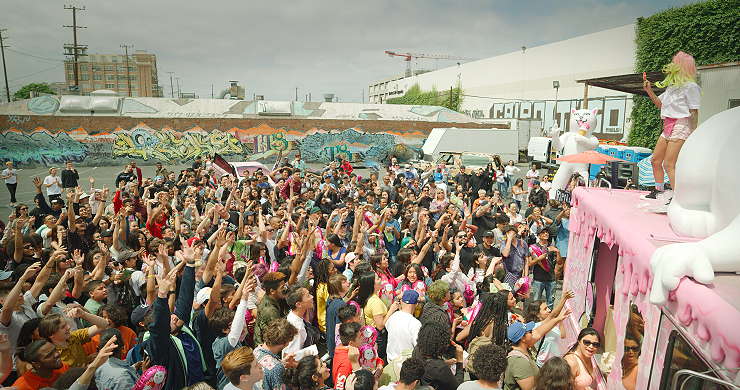 Do you wander the streets of Los Angeles, watch movies, spend time at skateparks, or anything else? R.O. : I just live my life, think about the brand, and then connect those two. I ask myself how I can put my life into the brand. F.P. : Your favorite city (or country) for shopping? Where do you prefer to shop? R.O. : China! Love bootleg stuff. F.P. : What are the five things you can’t live without? R.O. : My phone, my phone, my phone, water, and my phone. F.P. : As per your opinion, what trends will this decade be remembered for? R.O. : I think that this decade will be remembered not so much for a specific trend, but for the fact that anyone, anywhere in the world, rich or poor, can make a brand and become successful. All thanks to the Internet. F.P. : Your piece of advice to The Fashiongton Post readers. R.O. : Quit your day job and go after your dreams, because if you don’t at least try you will always look back and wish you did!